The Korea Herald is publishing a series of interviews on promising startups in the financial technology industry. This is the 17th installment. -- Ed. Foreign workers in South Korea from Southeast Asia or South Asia have faced various hurdles when remitting their income here to a home country. There are language barriers in financial services offered by banks, hefty commission charges and differences in banking service environments, to name a few. Using schemes such as collateral cash pooling, cross-border netting and pre-funding, Korean financial technology startup Sentbe has offered foreign workers ways to overcome such obstacles, since the launch of its service in March following a business license from the financial watchdog. 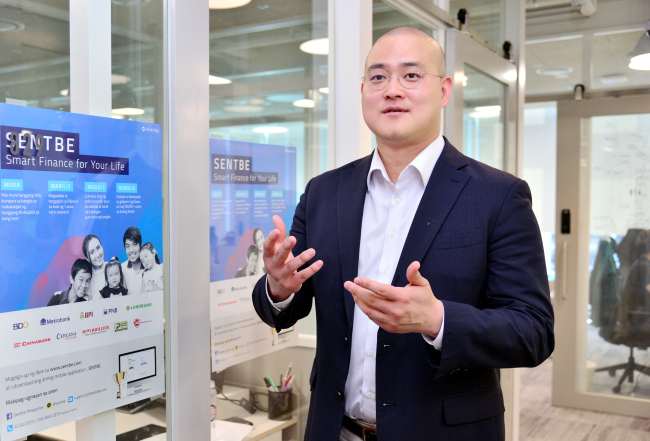 Sentbe’s outbound cross-border wire transfer service has higher speed and lower commission compared to one using the SWIFT network, in addition to its understanding of migrant worker communities here and financial systems of the workers’ native countries, according to Choi Seong-ouk, co-founder and chief executive of Sentbe in an interview with The Korea Herald at its Seoul office. The startup’s dexterity enabled him to partner with offshore banks, and even alternative financial service providers, such as franchise pawn shops like Cebuana Lhuillier Pawnshop, money transfer operators like DongA Money Transfer, and global financial network aggregators like TransferTo and Tranglo, he said. Those who do not have access to bank branches in Asian countries can either pick up cash at nonbank venues or have money delivered home. Also, the alternative remittance system reduces the time it takes to two hours at the longest, from three days in bank-to-bank networks. For example, the Philippines, an archipelagic state and the first partner country of Sentbe, grants pawn shops an electronic banking business license, so that their network complements that of bank branches, mainly located in or near urban areas. This led to a decision by Sentbe to collaborate with pawn shops, where recipients can get money sent from Korea through a generated code from Sentbe and identification numbers. At Sentbe’s nascent stage, however, convincing potential customers was not easy. In February 2016, co-founders and staff of Sentbe flocked near Daehangno Filipino market, located in Jongno-gu, Seoul. They set up a booth and began to introduce its remittance service. Only a few Filipinos bought into the idea then, Choi recalled. To take a more foreign worker-friendly approach, Sentbe went a step further by hiring Southeast Asian natives. The non-Korean employees, comprising half of Sentbe’s staff, engage in direct marketing and translation of its website and mobile app into six foreign languages -- Tagalog, Vietnamese, Bahasa Indonesia, Thai, Chinese and English. Such a business approach differentiates Sentbe from other Korean remittance startups, largely targeting Koreans who need to transfer money to those studying abroad, Choi added. Now, Sentbe has grown to have nine partner countries -- the Philippines, Vietnam, Indonesia, China, Japan, Thailand, Bangladesh, Pakistan and Nepal. Sentbe aims to increase the number of partner nations to 20 by the end of this year. 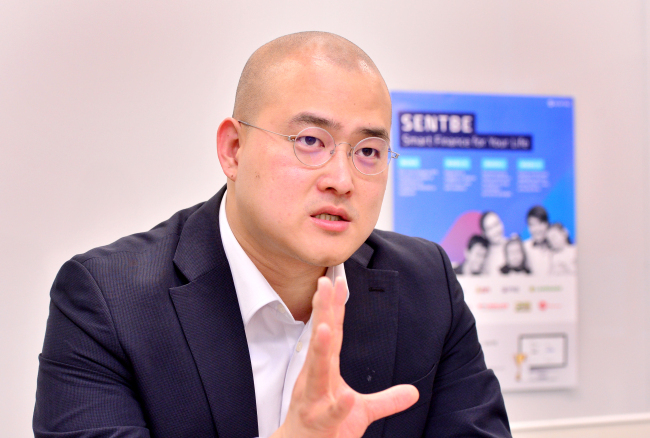 “Sentbe is ready to seal a partnership with a new country within four to eight weeks of preparation, but we are keeping a moderate pace for market expansion,” Choi said. Choi was formerly a currency exchange broker at Korea Money Brokerage Corp., a wholesale brokerage to financial institutions in Korea. To Choi, who has a forex background, Bitcoin, a cryptocurrency, was an attractive medium for wire transfer without going through SWIFT networks. The Bitcoin-mediated remittance scheme, once a core technology of Sentbe to lower commission fees, is not operational now due to regulatory roadblocks by Korean financial authorities. Sentbe gained business approval by the authorities early this year, but using blockchain technology is not permitted. Despite the ban, Choi pinned hopes on the reboot of cryptocurrency-based remittance technology. Choi said that if a change in circumstance allows him to, he would resume immediately. Headquartered in Busan, Sentbe established the first offline customer service center in Gimhae, a city in South Gyeongsang Province, in April. It plans to build more customer service centers in migrant worker-heavy towns, such as the cities of Ansan and Siheung, all in Gyeonggi Province surrounding Seoul, as well as near Dongdaemun in eastern Seoul.